Jen is also a member of the Church of Jesus Christ of Latter Day Saints like me! She has two adorable children, a boy Brad and a girl Kate. She is so kind and smart and loves doing hair and makeup and anything cosmetic worthy. SERVICES include: nails, hair styling, cuts and trims, coloring, waxing, airbrush makeup, wedding styles, hair and eyelash extensions and even emotional counseling! Haha I love that Jen is just willing to listen to you and talk while you are getting your hair done and who doesn’t love a good hairstylist who’s also a friend. 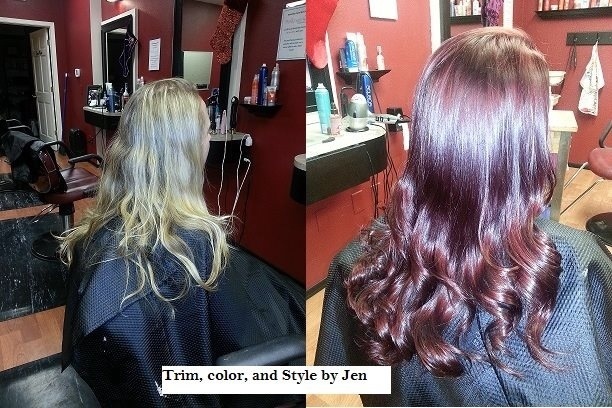 Jen is a very experienced hair dresser and went to beauty school two different times to get different experiences. She also taught other students at a beauty school for 5 years. She worked in several other parlors afterwards and started the Designer’s chair in 2012. She is very knowledgeable about everything beauty and hair. 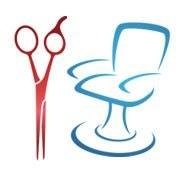 The service that is given at this salon is very professional and amazing. Jenny has hired a friendly and well trained staff to aid her in the care of her salon (Which is me lol). The quality of the hair care and grooming is amazing. She is so precise and take special care and attention to your likes, and needs especially. When I went to Jen to get my hair and makeup done for the vintage shoot, she was very flexible and helpful. I went in the afternoon before the shoot to get a wet set of pin curls. Even pinned on my head it looked real and authentic. I went back to her salon the next morning, and the pins were taken out and my hair was styled. It looked so amazing I can’t say it enough. I then got my makeup done and when the whole look was complete, I felt like I was a blast from the past. The hair and makeup really complimented my vintage outfits excellently. You can view the photos from my vintage shoot here! So OF COURSE, I highly recommend Jen Lietz and her Designers Chair ;). Please visit rate, and like her Facebook page!